United Autosports are pleased to confirm their final European Le Mans Series LMP3 driver line up, as Garett Grist, Tommy Erdos and Wayne Boyd join forces in the #2 Ligier JS P3. Garett Grist returns to the team for his second year in the European Le Mans Series after a successful debut in 2018, where he finished third in the championship. 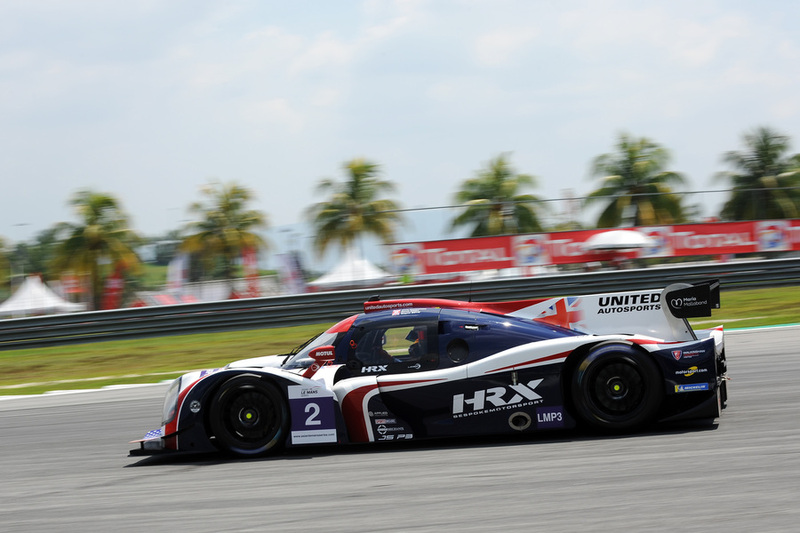 He was also part of the championship challenging Asian Le Mans Series LMP3 team, where he was a race winner at Buriram and finished second in the LMP3 Championship. This year, Garett will also race in the Michelin Le Mans Cup for United Autosports alongside Rob Hodes. Tommy Erdos has a vast racing career already under his belt, but has been away from the sport for nine years. The Brazilian driver began his racing career back in 1988, moving his way through the single seater ranks, including winning the British Formula Renault Championship in 1990. In 1995, he moved into GT racing, making his Le Mans 24 Hours debut later that year. In 2001, Tommy moved into the British Touring Car Championship and finished seventh in the championship after impressing throughout the year. In 2002, he moved back to sports cars, entering and winning the British GT Championship. Tommy is also a double Le Mans 24 Hours LMP2 race winner (2005 & 2006) and a double Le Mans Series LMP2 Champion (2007 & 2010). His final full season of racing was in 2011, but has continued driving and coaching in many different disciplines. Wayne Boyd completes United Autosports’ ELMS LMP3 driver line up by returning to the team for his fourth season. Wayne first joined the team in 2016, racing in the European Le Mans Series, returning in 2017, where he finished third in the championship. He then moved to their LMP2 team for 2018, before racing for United’s Asian Le Mans Series LMP3 team where he was fighting for championship glory alongside Garett Grist and Chris Buncombe. The trio won the third race of the season at Buriram in Thailand. United Autosports have already announced that 2016 ELMS Champions Mike Guasch and Christian England will return to the LMP3 team for the 2019 European Le Mans Series. The 2019 season begins with the official prologue at Paul Ricard on 8-9 April, with the first round of the season held later that week on 12-14 April.